Seymour Hersh's version of the targeted killing of Osama bin Laden couldn't be more different from that of the White House. [Hersh] claims that Bin Laden’s burial at sea never happened, that Bin Laden was an invalid when the SEALs raided the compound and killed him, and that there was no firefight at all during the SEAL raid. Additionally, Hersh’s account says that the ISI captured and set bin Laden up in Abbottabad in the first place, to use him as “leverage” in the country’s dealings with al-Qaida and the Taliban. Pakistan has sentenced Dr. Shakil Afridi, who aided the CIA in finding Osama Bin Laden to 33 years in prison. The New York Times has more here. The CIA had asked Afridi to run a fake Hepatitis vaccine program. Details here. Leon Pannetta criticized his arrest on "60 Minutes". A court in Pakistan has convicted Osama bin Laden's three wives and two adult daughters of illegally remaining in Pakistan, hiding their identity from authorities and forgery. The court sentenced them to 45 days in detention, after which they will be deported. Although in custody in a private house since May when Osama was killed, they will get credit for time served since March 3 when they were arrested. They have two weeks left, and they will serve the sentence at the home where they've been detained, not in prison. They will be allowed to take their minor children with them when they leave. Two of the wives are from Saudi Arabia, and one is from Yemen. Despite statements months ago by Pakistan that the wives and children present at the Abouutabad compound the night Osama bin Laden was killed would be released and returned to their home countries, Pakistan is still holding them. The family of Amal al Sadah, Osama bin Laden's youngest wife who is from Yemen, has petitioned the chief justice of Pakistan to order her and her children's release and return to Yemen. Last October, the Pakistani commission that investigated and interviewed the wives recommended they be sent home. Pakistan has completed its interviews of Osama bin Laden's wives and children and declared them free to leave Pakistan and travel freely. The Pakistani Commission also recommended that a physician who worked with the CIA to conduct a fake vaccination program designed to obtain DNA from the citizens of Abbouttabad be charged with treason. The vaccination ruse has been widely criticized by aid agencies, which have said it could harm legitimate immunization programs in Pakistan. The vaccination team was reported to have gained access bin Laden's house in Abbottabad, but that it didn't confirm bin Laden's presence there. 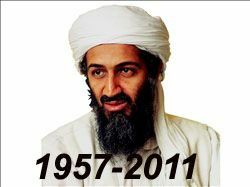 The U.S. wants Pakistan to allow the doctor to live in the U.S.
A Mole Inside Bin Laden's Compound? 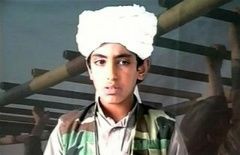 Yesterday, the Australian reported information from Pakistani officials that the three wives of Osama bin Laden had turned on each other, and the older two were accusing the youngest, Amal Ahmed al-Sadah of Yemen, of betraying Osama bin Laden, either by supplying information or by allowing herself to be tracked to the compound. It read like an episode of Desperate Housewives. Defense Secretary Robert Gates was on "60 Minutes" tonight. He said he had doubts about the intelligence information that Osama bin Laden was at the Abbouttabad compound. While he had confidence in the SEALs before the mission, Gates told us he was very nervous about the intelligence on the mission. "I was very concerned, frankly. I had real reservations about the intelligence. My worry was the level of uncertainty about whether bin Laden was even in the compound. There wasn't any direct evidence that he was there. It was all circumstantial. But it was the best information that we had since probably 2001," he explained. "And did you feel you had to strike while the iron was hot, if you will?" (Katie) Couric asked. "I think everybody agreed that we needed to act and act pretty promptly," he replied. Pakistan allowed U.S. officials to interview the three wives of Osama bin Laden who were at the compound in Abbottabad during the raid that killed Osama. The wives were described as "hostile." Why wouldn't they be? All three lost a husband, one (or two, depending on which inconsistent report you believe) lost a son, and one was shot in the leg.